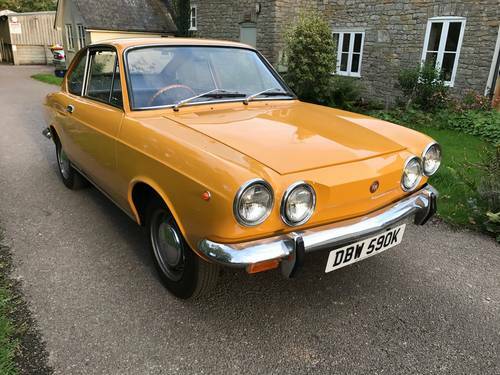 This delightful-looking Positano Yellow coupe is understood to have had just one lady owner until 2008, who purchased the car new in 1971 for the sum of £1054.73. In 1998 'DBW 590K' benefited from an extensive body restoration and bare metal respray by marque specialist Auto Rossa of Ringwood, Hants. Eight years later it was treated to a thorough engine and brake overhaul by L&S Motors of Cobham, Surrey. 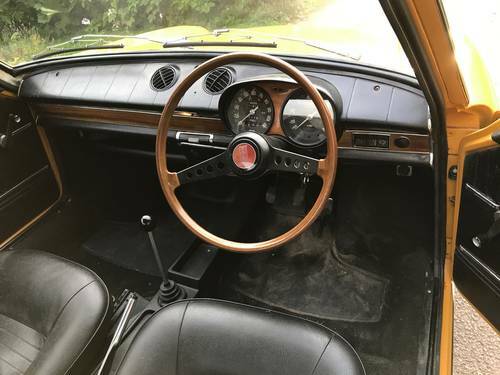 A further eleven years years later and the we deem the bodywork, paintwork, Black-coloured interior, four-cylinder engine and four-speed manual gearbox as all being in "excellent" order. 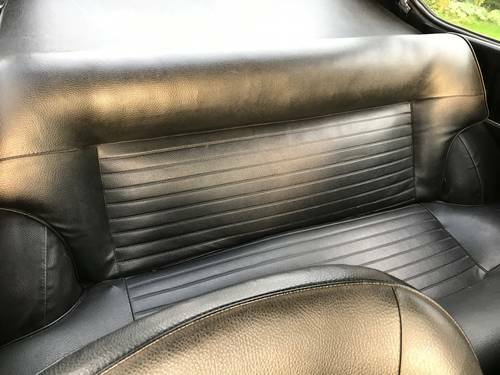 The Fiat coupe is being sold complete with original bill of sale, invoices for the restoration, handbooks, toolkit and an MOT into September 2018, and after checking the MOT records, the car has covered less than 150 miles since a recorded change of ownership in 2012. 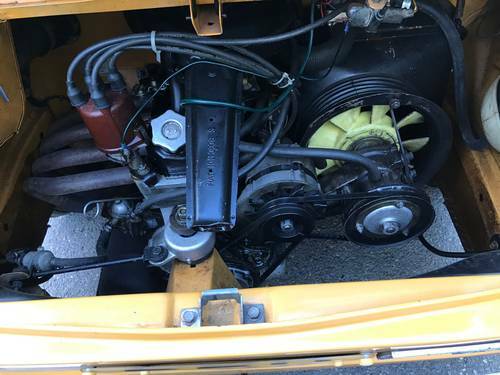 In excellent condition, a professionally restored Fiat Coupe, which has benefitted from recent recommissioning this September, works carried out include a new exhaust, carburettor and cooling system overhaul, new battery. 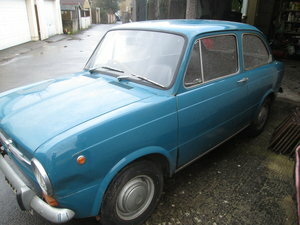 Following a period of little use, and recent recommissioning, now In very good condition with current MOT. 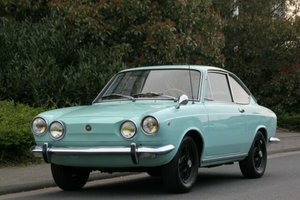 The masters of affordable small family cars dating back to the Topolino of the 1930s, Fiat introduced the 850 at the 1965 Geneva Salon. 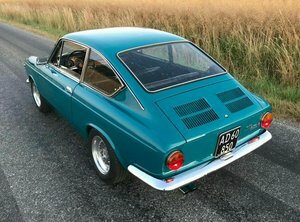 It was a technical evolution of the successful 600 and was produced in two-door Coupe, Spider and Estate guises. 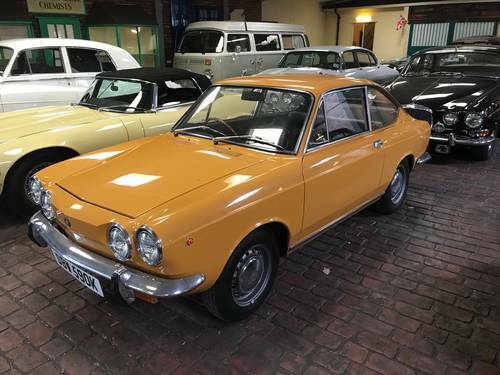 Coupe production continued until 1971 when the model was supplanted by the front-wheel drive 127. 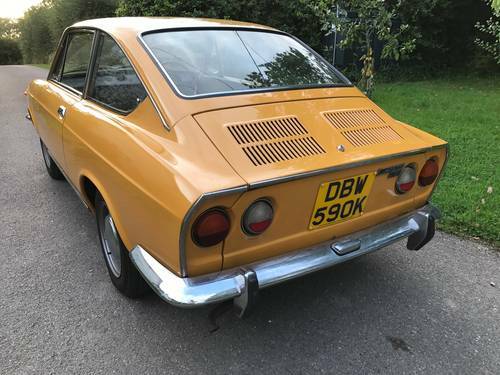 It was in 1968 that the Sport versions of the 850 were unveiled, for which the engines had been increased in capacity to 903cc and now gave 52bhp - sufficient for a combination of a 90mph top speed and frugal 40mpg. The Sport Coupe was immediately identifiable by its quad headlamp arrangement.